It is customary for European schools to resume their activities with the beginning of September, which provides us all with the opportunity to picture ourselves back in a school bench and pore over the map of the world. Some of the facts that we learnt back then and have long forgotten might turn up handy to help us through today’s unstable geopolitical situation. Others will let us unravel the complex networks that we, accustomed to our European perspective, have lost sight of. A look at a world’s map is enough for us to put everything in the right perspective. Nowadays we are facing a number of agendas that are propagandized by the powers that be. Facts are propaganda’s most implacable enemies since they provide an average citizen with food for thought, enabling him to come up with his own worldview. Such facts can surely be found in a world’s map. The school year is usually inaugurated by a politician. Russian President Vladimir Putin used the occasion to appear in Vladivostok. Where is it? For us, Europeans, a synonym to Russia is Moscow, is if Russia could be reduced to that city alone; sometimes we also associate Russia with Saint Petersburg, and, after the 2014 Winter Olympic Games, with Sochi and the cities located close to the eastern borders of Europe. But where is Vladivostok? Can it be found on our continent? Reason enough to consult a globe. What strikes the eye at first is that Russia is more than its European part that we are accustomed to seeing in the right-hand part of a map of Europe; Russia stretches far east across 11 time zones! At the time when in Vladivostok children prepare themselves for school, Moscow’s children are about to go to bed with thoughts of the next day’s tasks. 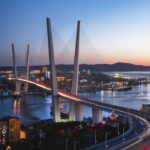 Vladivostok’s kids immediate neighbours are Chinese, North and South Korean, and Japanese peers. An entirely different reality, heritage and place on Planet Earth. 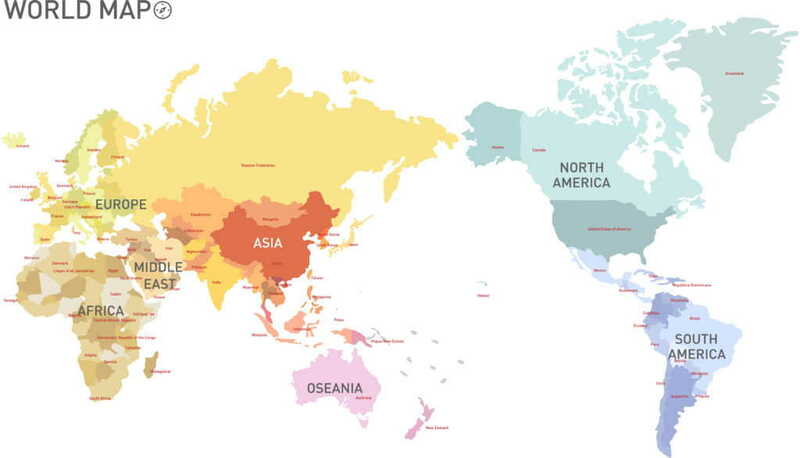 To us, Europeans, a world map features Europe in the centre, Africa at the bottom, the Americas to the left, Asia to the right, and Australia far away in the right-hand corner. For centuries we have been accustomed to regard our continent as the centre of the world, which was substantiated by the fact that due to our economic strength in the Middle Ages we declared the peninsula to be a separate continent which for the centuries to come was the unquestionable focus of world history. And it was! Our culture and economic clout left no room for doubt as to who the world’s master was. Recently Europe has lost much of its preponderance which made it the centre of the world. Political power is slowly shifting out of Europe’s sight towards the East. How much longer will the European point of view be relevant for world affairs? Every time East Asian children take a look at a world map a different picture heaves into sight: the centre is occupied by China, Russia is up, America to the right, Australia at the bottom, Africa is to the left and above it a peninsula that goes by the name of Europe. China is among those few powers whose standing does not correspond to the attitude that European countries adopt in relations with it. The European Union as an entity passes judgement over China because of its violation of human rights, censorship and low quality of Chinese products. The Sino-European relations are tense: European protectionism of its own market and the resulting defence against the flood of Chinese goods, etc. It amounts to a paradox that many European governments as members of the European Union put in a great deal of effort to tarnish China’s image, whereas as individual states they go to extreme lengths to secure for themselves exceptional trade relations with China, to become for China and its investments a kind of haven in Europe. This paradox unmasks the European Union’s weakness and superficiality, where the underpinning principle of each member-state is to secure China’s favours for itself sooner than others. Russia is another power to be reckoned with: though other arguments are put forward, the pattern remains pretty much the same. We let ourselves be convinced by the United States that Russia poses a threat to us. Russian aggression, lack of democracy and the like pretexts lie behind the economic sanctions which we have imposed on the country and by means of which we explain why we are distancing ourselves from Moscow. Sanctions negatively affect all the parties involved: European entrepreneurs evaluate the situation for what it is, but there are still others, and this goes unnoticed, who derive profit therefrom and guard their own business. From a historical point of view Russia looks to the West: its administrative and decision-making centres are located in Europe. Despite the fact that most of its territory belongs to Asia, Russia itself is immersed in European culture and is regarded as a European country; this can be born out by the fact that Russian sports teams take part in European rather than Asian sports events. Russia has a lot to offer in terms of natural resources, and after the disintegration of the Soviet Union it intends again to become a world power that cannot be ignored, if only because of its geographic location. We, Europeans, should be glad that this rising power represents our heritage and acts as our representative, which at the time of the birth of new superpowers may be of an appreciable advantage for us. We need Russia as our partner. Despite all odds, Russia still needs Europe. This geopolitical interrelation may not last for ever. If we continue to spurn Russia politically, Moscow may change its priorities and look to the East, where new economic powers are on the rise, where demand for Russian goods is increasing and where – unlike in Europe – Russia is welcome. Such a political reversal is quite possible: in 2014 Vladimir Putin mentioned that some of the central administrative offices could be relocated to Siberia.1)Zieht der Kreml nach Sibirien? Russia Beyond The Headlines 2014-08-07.Gradually, e.g. to Krasnoyarsk, the centre of the Federation. These are by no means firm plans because to move the whole administration centre requires lots of preparatory work at the destination place. No relocation anywhere soon is possible, but the tendency to make a turn towards the East is more and more pronounced. On 1 June a law came into force within the meaning of which Russians can be granted one hectare of land in the Far East free of charge on condition that it will not lie fallow.2)Putins Geschenke fürs Volk, Handelsblatt 2016-05-03.This law is supposed to attract entrepreneurs to the East. 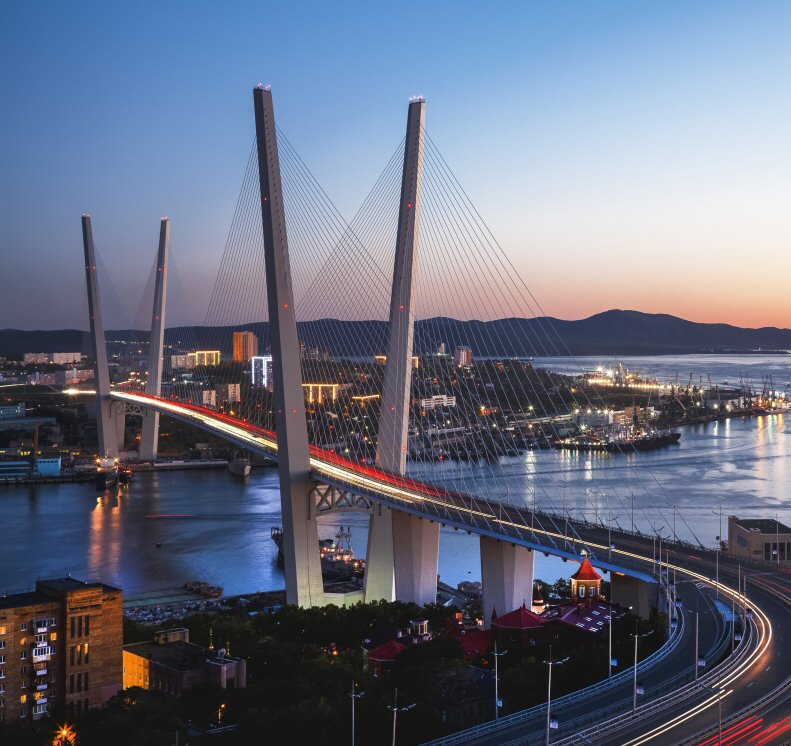 Moscow’s intense interest in the Far East can also be seen in terms of economics. Was it not in Vladivostok where the Eastern Economic Forum convened? Numerous projects are being made for this region, and they all aim at developing infrastructure and reviving the economy there, such as an idea to connect Russia with China by means of a Hyperloop,3)Putin Jumps Into the Race to Build a Hyperloop, Bloomberg 2016-07-07.a super fast transport of people and goods, or China’s plan to have part of its chemical industry and a number of its foundries relocated to the Far East.4)Řadu čínských podniků mohou přenést na ruský Dálný východ, Sputnik 2016-04-06. The match-making between Russia and China is already taking place. Two entirely different nations which have a lot in common. In the long run it is not going to be a happy relation; yet, for the time being the east is likely to become the centre of world affairs. 1. ↑ Zieht der Kreml nach Sibirien? Russia Beyond The Headlines 2014-08-07. 2. ↑ Putins Geschenke fürs Volk, Handelsblatt 2016-05-03. 3. ↑ Putin Jumps Into the Race to Build a Hyperloop, Bloomberg 2016-07-07. 4. ↑ Řadu čínských podniků mohou přenést na ruský Dálný východ, Sputnik 2016-04-06.